Sometimes I’m asked by both sincere and insincere people to somehow prove to them that UFOs or abductions are real, worth studying, etc (note that I differentiate this challenge from proving that “aliens” are real, or exist – this site defines the “alien” presence differently than most abduction believers). Among modern authors, nobody has done a better job of documenting the UFO “paper trail” than Richard Dolan (1*), and before him I’d say that honor went to Timothy Good (2). Mike Heiser (3) condenses an amazing amount of documentation from various sources (in novel format), and Bill Lynne (4) makes a good case for the existence – but earthly origin – of at least many UFOs. Well worth mentioning also are Clifford Stone’s UFOs Are Real, John Greenewald’s Beyond UFO Secrecy*, Jim Marrs’ Alien Agenda and perhaps Vesco & Hatcher-Childress’s Man-Made UFOs. (*)For interested parties, Richard Dolan, John Greenewald and others spoke at the Ancient of Days conference in Roswell NM, hosted by Alien Resistance. DVDs now avaiable. A little harder to pin down because of the nature of the experience, the abduction phenomenon has nonetheless been well documented as well – by HIGHLY CREDENTIALED PEOPLE. Because of their credentials, I first submit/suggest John Mack’s (Harvard University, Pulitzer Prize recipient) Abduction (1), followed by David Jacob’s (Temple University) books Secret Life (2) & The Threat (3). Finally if not firstly, C.D.B. Bryan’s Close Encounters of the Fourth Kind (M.I.T. Conference report) is a definite “must-read” standard as well. (4) Close Encounters of the Fourth Kind: Alien Abduction, UFOs & the Conference at M.I.T. Skeptics will be forced to ask why men of such reputation, would risk them entirely to publish books on this topic, unless they were certain they were dealing with a real phenomenon – and further – feel a need to share their findings with peers and a critical world? I’m sure they would all tell you the money is not worth what they’ve endured, to bring this subject to greater public attention and credibility. While tougher to determine, these purposes possibly relate to such conspiracy theories as One-World Government (tricking the world into believing we are under attack by hostile aliens, thus forcing a one-world government, religion, currency, power structure, etc) and/or spiritual deception (i.e., inviting humanity to abandon religious norms to join some “galactic brotherhood,” and promising a utopian age on earth – in contradiction to a more Biblical description of what is to come. Indeed, the only hesitation to even posting many of the books and links listed on this page is that some could in fact “fall for” ideas these (allegedly) alien beings are perpetrating. Ultimately however, people simply must be allowed access to all available information, and in the final analysis, make up their own minds about what such information means to them. I must “disclaim” that I (and most affiliated links from this site) do not necessarily agree with the CONCLUSIONS many of the researchers posted here, but do recommend that any skeptical or unconvinced person examine the documented research in these fields, then begin asking tougher questions about what it all means. We hope the information presented on this and affiliated sites can help in that regard. You may soon find yourself on a journey of asking many more questions about the nature of reality itself. General Ufology * I have chosen only those websites I view as conducting serious, sober research into the UFO phenomenon. However, inclusion here does not mean endorsement. The National UFO Reporting Center (www.ufocenter.com). This site is dedicated to data gathering and archiving UFO sightings from around the US. The CSETI homepage (www.cseti.org). CSETI stands for the Center for the Study of Extraterrestrial Intelligence. 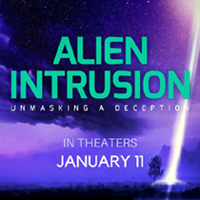 The organization is headed by Dr. Steven Greer, whose focus is the gathering of congressional testimony about UFOs and Top Secret military projects that may be related to them. CAUS stands for Citizens Against UFO Secrecy, and is an organization headed by attorney Peter Gersten. CAUS believes, among other things, that “the people have an absolute and unconditional right to know about ET contact,” and that “it is through the judicial process that the truth will be set free and secrecy ended.” To this end CAUS lobbies congress for legislation that would exempt government employees who claim (mostly off the record) to have direct knowledge of extraterrestrial contact and technology from their security oaths of silence. The Black Vault (www.blackvault.com). This is the motherlode for genuine government documents relating to the UFO phenomenon. The site consists of its owner’s scanned Freedom of Information Act requests, the scanned responses, and text-conversions of those scans. Literally tens of thousands of pages (most of which are unspectacular) demonstrate both the military’s disingenuous attitude toward the UFO phenomenon and its own documented experiences. UFO Mind (www.ufomind.com). The master index for anything related to UFOs – people, places, events, concepts, military involvement, etc. If you can’t find something on a UFO topic here, give up. (www.v-j-enterprises.com/sfpage.html). Friedman gets the credit for bringing Roswell to the public’s attention. By training a nuclear physicist, Friedman is also meticulous archive researcher and textual critic of government documents. He’s one of the few credible ufologists who contends that the MJ-12 documents are genuine. The National Institute for Discovery Science (http://www.nidsci.org/). NIDS represents the best in professional, scientific inquiry into UFOs and other paranormal topics. The organization is staffed by experts with PhDs, MDs, or DVMs in their respective fields, and also employs former FBI and other law enforcement officials in its investigative arm. Some of the best, most up-to-date information you’ll find anywhere – without the quackery. Excellent resource for propulsion system analysis and government or privately-funded reports (see below) on the psycho-social impact that intelligent extraterrestrial life would have on humanity. COMETA report (http://aerial.itlnet.net/cometa_report.htm). The 1999 findings of the French government into the UFO problem. Concludes that the extraterrestrial hypothesis is plausible. COMETA is the first serious “official” public report into the UFO phenomenon that isn’t dismissive of the subject. The above link is a summation in English. This is the congressional report that concluded our religious and scientific paradigms would be irreparably damaged by an ET reality. Brookings was written forty years ago, and has been supplanted in the minds of many by the Bigelow/Alexander report (see below). The NIDS report that deals with the impact of an ET reality on the world’s major religions. Whitley Strieber’s homepage / Dreamland Radio Show Website (www.whitleysworld.com). Whitley is one of the world’s most famous abductees. His experiences are chronicled in several best-selling books, such as Communion, Transformation, and Majestic. Whitley’s website is also the place to go to access the STS videos mentioned in The Facade. Dr. Roger Leir (www.AlienScalpel.com/main.htm). Dr. Leir is a podiatrist who also specializes in the surgical removal of implants from victims of alleged alien abductions. Dr. Leir has performed such removals live on television, and also has videotapes of other removals available. Linda Moulton Howe’s homepage (www.earthfiles.com) – Ms. Howe is the recognized expert on cattle mutilations. She is a three-time Emmy Award-winning TV producer, investigative reporter and author. Aside from her ongoing research, she authored a book on the subject of cattle mutilations, A Strange Harvest, which is also available in video form. Dr. Charles Ostman’s website (www.biota.org/ostman/charles1.htm) is useful for an introduction to nanotechnology and its applications. The above title by Vallee is his first dealing with his view that “aliens” may not be truly extraterrestrial – but entities of a spiritual or inter-dimensional nature. The following three titles are a trilogy by Vallee and, as you can tell by the titles, reveal his less-than-optimistic verdict about the “goodness” of the visitors. Vallee’s works are especially significant since he has no religious axe to grind. Gods of Aquarius: UFOs and the Transformation of Man. Korff is a skeptic. This is the best refutation of the alien explanation of the Roswell event available. Narrows the issues well, and shows how the truth of the story depends on several crucial items. 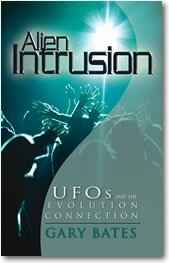 Alien Discussions : Proceedings of the Abduction Study Conference Held at M.I.T., Cambridge, Ma. Close Encounters of the Fourth Kind : Alien Abduction, UFOs, and the Conference at M.I.T. , by C. D. B. Bryan. Jacobs is a tenured history professor at Temple University in Philadelphia. He’s convinced (and scared) that an alien cross-breeding program is in full swing.